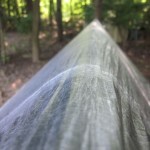 Jesse from Maryland (Known as Lazy River Road on Hammockforums.net) Recently purchased a cuben fiber hex tarp from hammockgear.com & has offered his review & photos. 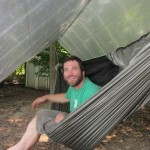 Anyone thinking about getting a Hex tarp from Hammockgear – Jesse has shared great info about this tarp. Thank you Jesse! Well here it is. 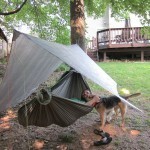 The Hammock Gear Hex Tarp. Weight 5.4 ounces with lines. This tarp is light, has a ton of coverage and I just love it. The craftsmanship is excellent. The cat cuts are so so shallow their hardly noticeable but are just enough to prevent any flapping in the middle of the tarp. The cat cut in the RL is just perfect and allows the tarp to pitch perfectly tight without the RL folding over on itself or crinkles in it. 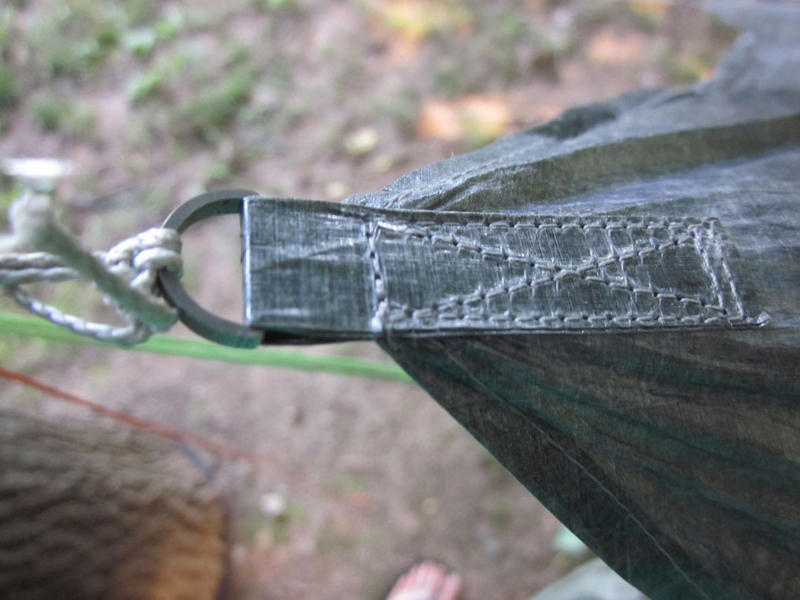 The two special features of this tarp are the Dutch Ti-D Ring and the Cuben fiber reinforced pull outs for the RL and the tie outs. I wanted this tarp to be made as light as possible and that’s exactly what I got. I decided not to get side wall pull outs cause I generally do not use them anyways and did not want the extra grams. 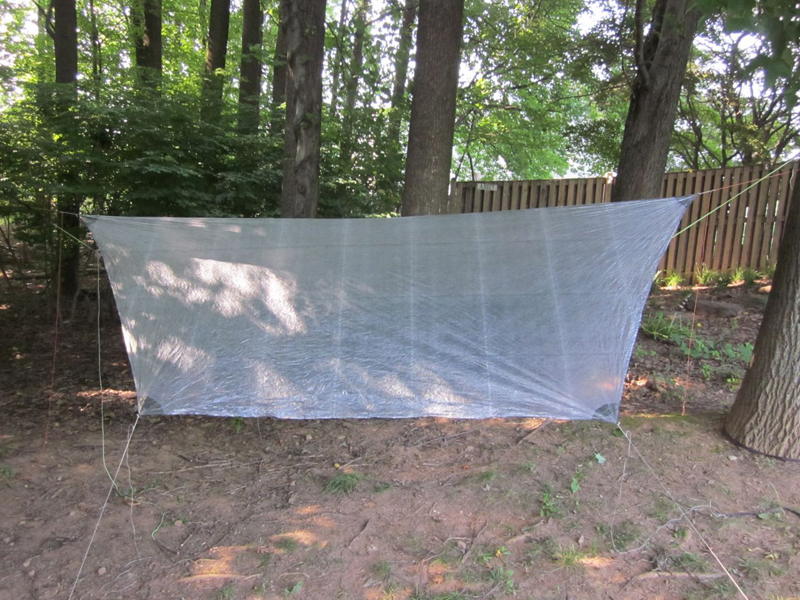 As always it was more then a pleasure doing business and working on this custom tarp with Hammock Gear. The quality and craftsmanship is excellent as always and most excellent customer service. 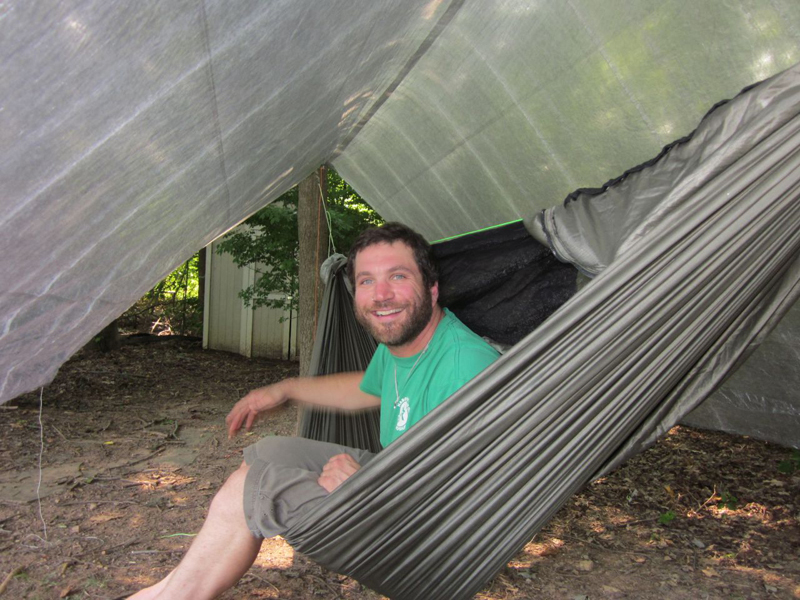 And I don’t know what else to say that I have not already said in all my other reviews of Hammock Gear and just has excellently amazingly awesome they are. Thanks Adam and Jenny and Luke for this excellent product and that little extra something special you added in as well. In the pics I am laying in my WBBB and I had plenty of coverage. 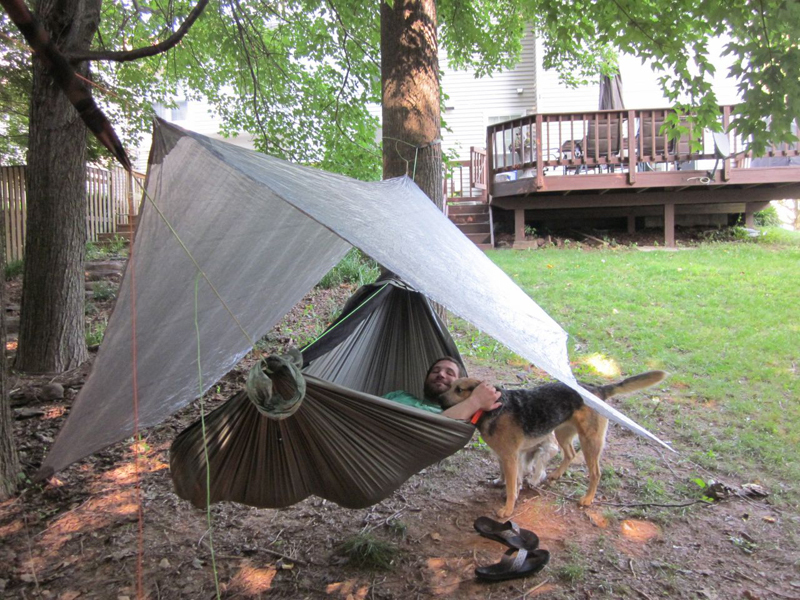 I had this tarp out on the trail for 3 nights prior and it rained one of the nights and it kept me and my best friend Stella Blue (who sleeps under my hammock) nice and dry. 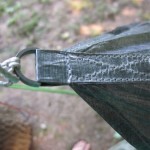 So if your looking for a light weight tarp, well here it is. Enjoy the piney woods yall. 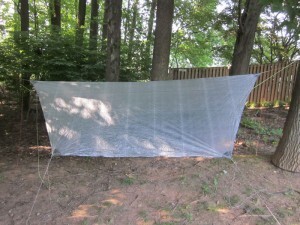 edit: In my original post I forgot to include the weight of the tarp without lines. 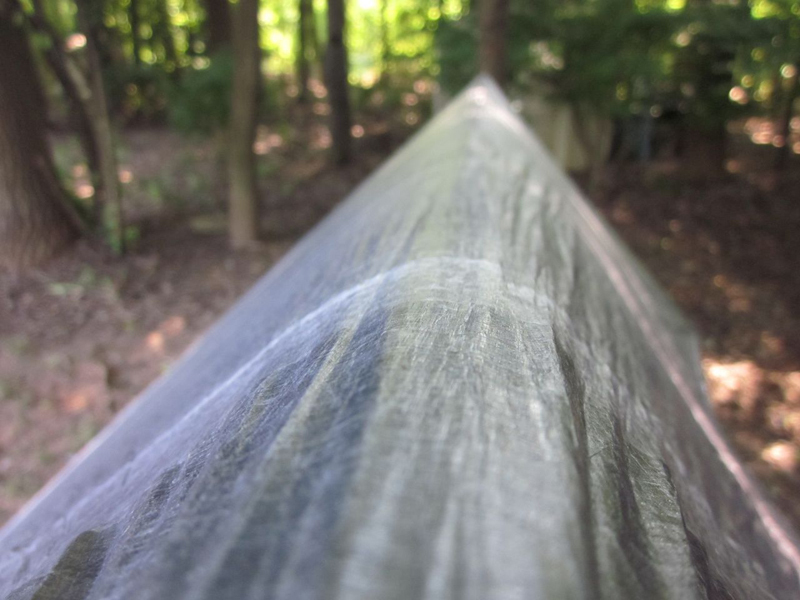 The weight of the tarp without lines is 4.75. The lines I am using are two, ten foot sections of 1.4 dynema with Dutch hooks on them and four, ten sections of 1.2 tech line for the tie outs. They are all attached via. prussic knots at the Dutch Ti-D rings for easy adjustment.